Eton Mess is one of the simplest, and yet most crowd-pleasing, summer desserts. Perfect after a barbeque, or any alfresco occasion! It is a traditional English dessert which has been around since the 19th century and originated at Eton College. I haven’t specified quantities because it’s not an exact science, just throw in however much you want of everything. 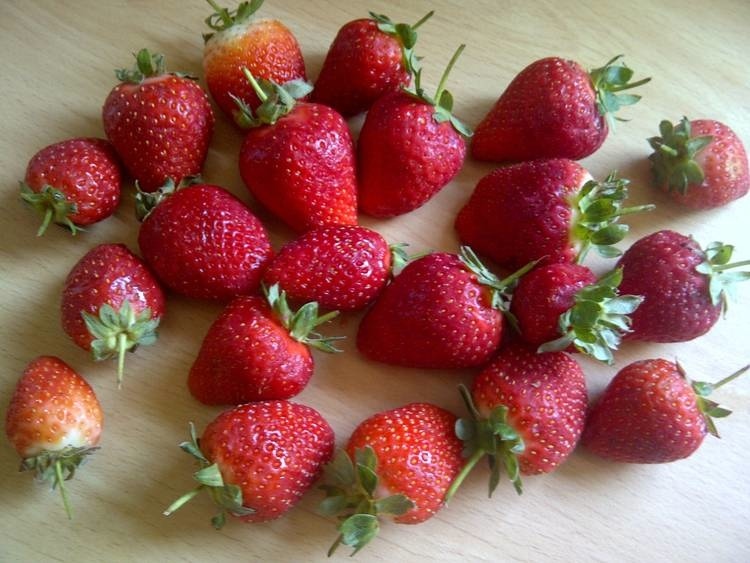 1) Take some lovely strawberries. Hull them, chop them, then roughly mash them, but don’t puree them; you want lots of big bits of strawberry in there. You can put some sugar in with them if you like, I don’t. 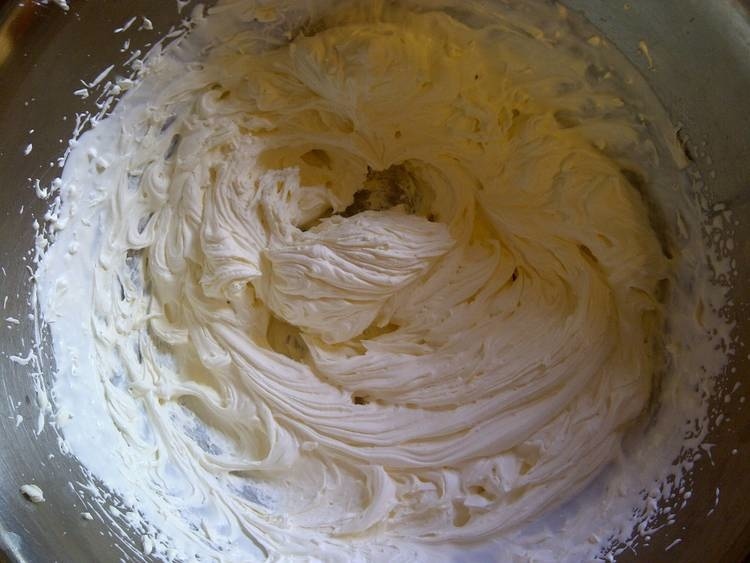 2) Whip the cream until nice and thick. Again, you can sweeten the cream if you like, but I don’t. 3) Take some meringue nests, and roughly crumble them up. 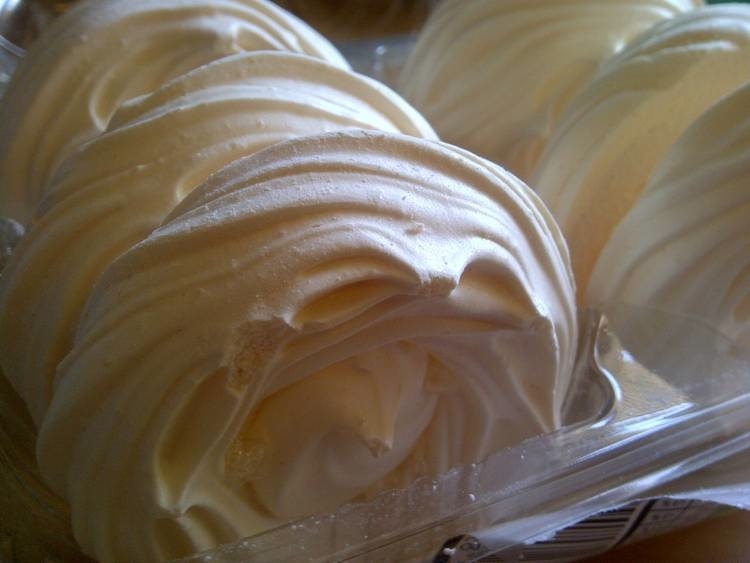 Be generous with the quantity here, you want to be sure that every mouthful will have meringue in it. That’s why I don’t add sugar to the strawberries or the cream; there’s plenty of it in the meringues. 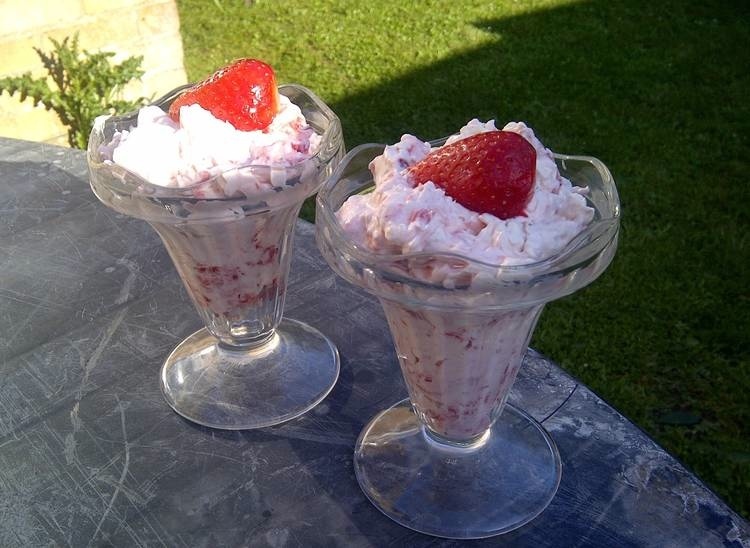 4) Put the crumbled meringues and strawberries in with the cream, mix it all up, pile into pretty glasses and decorate with half a strawberry, and you’re done. It is best to make this just before serving so that the pieces of meringue stay crispy. If you want to prepare it ahead of time, then mash your strawberries, whip your cream, and crumble your meringues, but leave them all separate, and then just mix and dish up at the last minute. Just your sort of recipe! 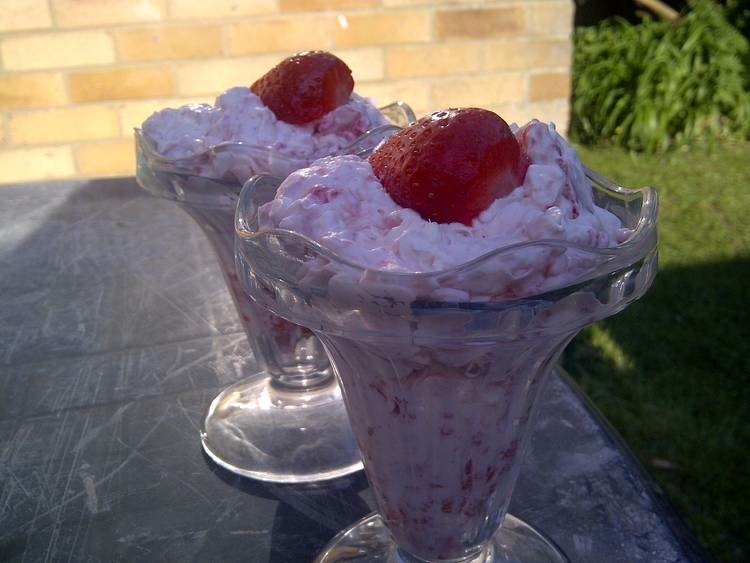 I absolutely love Eton Mess – perfect summer dessert! Me too! It’s a bit indulgent, but still feels quite light! Whipped cream? Did somebody say whipped cream? You know I’m there. Yum! All that’s missing is chocolate really isn’t it! This looks lovely, Vanessa. I’d likely agree with the no additional sugar; the strawberries we get here have a charming tarty sweetness to them that I like to leave alone. Indeed, anything involving strawberries and cream is Wimbledonesque!